A row of 2015 Ford F-150 pickup trucks parked at a sales lot in Butler, Pa. The problem, according to the company, is with a part of the driver and front passenger seat belts called a pretensioner. The pretensioner is a component attached to the base of a seatbelt clip. During a crash, it automatically forces the clip down, which is meant to protect the occupant by pulling them into the seat. Sometimes, this piece involves explosives. "Ford's investigation found that some front seat belt pretensioners can generate excessive sparks when they deploy," the company stated. These sparks could cause a fire in the insulation or carpet, Ford added. It says it's seen 17 reports of smoke or fire in the U.S., and another six in Canada, and says it has not received reports of accident or injuries. Most of the affected vehicles are in the U.S., though Canada has nearly 340,000 and Mexico has about 36,000. Federal safety regulators opened a preliminary investigation into this issue last month after receiving five complaints. The National Highway Traffic Safety Administration said that "two fires self-extinguished, while the other three vehicles were totally destroyed by the fire." In one recent complaint with NHTSA, according to The Associated Press, a car owner says a deer ran into their car, which deployed the airbag. Shortly after they noticed a fire near the seat belt. "The truck went up in complete flames in a matter of minutes and is a complete loss," they wrote, according to the AP. In a statement Thursday, the NHTSA said that these car owners "should watch for recall notifications from Ford Motor Co. and take action when it's time to get the free repair." That involves removing some insulation material and applying heat-resistant tape. 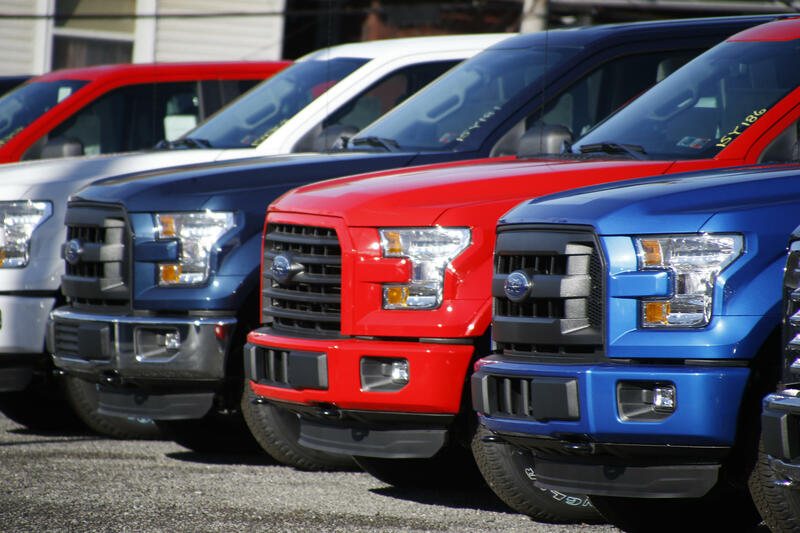 The recall will be costly – as the AP reported, "Ford said in a filing Thursday with U.S. securities regulators that the recall will cost about $140 million and will be counted in third-quarter results." Ford's stock value was down more than 0.6 percent by mid-afternoon on Thursday. "Ford said the components in the older 2015-2017 models were built by Takata, which was acquired by Ningbo Joyson Electronic Corp, while ZF Friedrichshafen AG built the parts starting with the 2018 model year." Toyota also announced that it was recalling cars this week. As NPR's Cameron Jenkins reported, the manufacturer recalled some 192,000 Prius vehicles in the U.S. over concern about potential fires. More than 1 million of Toyota hybrids worldwide are being recalled, and the largest number of them is in Japan.